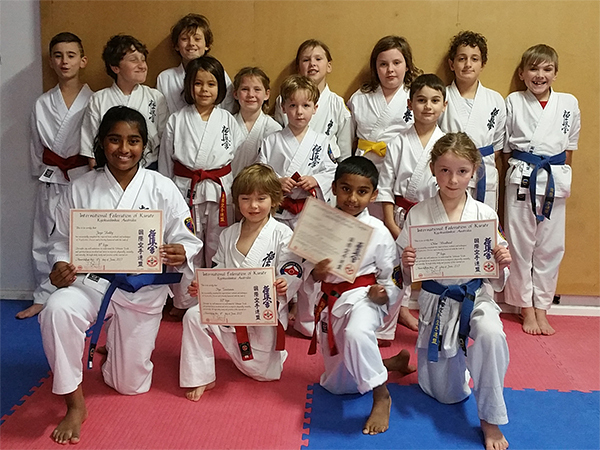 Kuro Obi Kids class with some of the latest grading successes. There are few issues with classes next week. It was a well attended tournament with representatives from 6 different Kyokushin organisations. 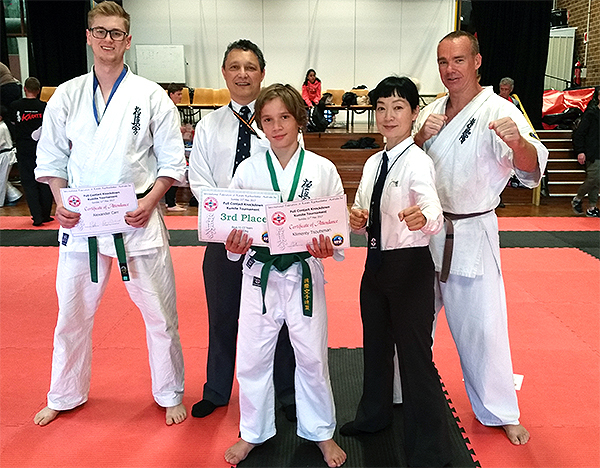 Well done to all Alex (1st), Klim (3rd) and Simon who did a great job representing Kuro Obi dojo! Check out the linked video below of Klim's 3rd place fight-off fight against Max from Tempe dojo. The Kuro Obi team at the 2017 IFKKA Full contact. Ari Slamer, who also officiated, was helping to pack up. Our next interclub tournament is the kata tournament. We need to start practicing now for this event - team kata requires a lot of practice! Application deadline 11th June. The AKKA tournaments have been a long standing fixture of the Australian Kyokushi scene. I recommend that you consider attending this event and testing your mettle in a different milieu. Application deadline 16th June. This tournament is Canberra, and is run by Shihan Glenn Gibbons, who helped officiate at our recent contact tournament. Why not make a weekend out of it and head over there. I will if you will, and I've got room in my car for four! Also known as the Sparring Spectacular, this features 3 kinds of sparring - Points, Clicker, and Full Contact. Once again, we have booked the NCIE in Redfern, and we're looking forward to having another great event!